I've started learning Twine, a format for creating interactive fiction. Play my illustrated interactive poem "Matter Over Time" (opens in new tab). Best on full-size screens; screen-reader friendly. 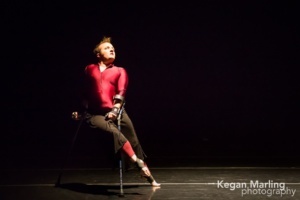 Read "Small Dances: how do we dance when we mostly can't move?" Concepts, context, videos, and exercises for making dance when you're stuck in bed, have high pain or fatigue levels, or otherwise find yourself with constrained movement choices. For dancers and non-dancers alike. Check out the video of my solo from Fresh Meat 2018!